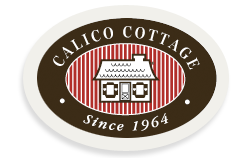 Thank you for joining the expert Calico Tasting Panel. Your input is very important to us. We are interested in your honest feedback about this new fudge recipe. Please note that this flavor is intended to be a flavor that you would make at your location. It is not intended to be shipped. Please forgive any imperfections in appearance the sample may have suffered during the shipping process and answer the questions as if the flavor appeared the way it looks on the recipe sheet enclosed with the sample. Before you begin tasting the fudge and filling out this survey, please make sure you have reviewed the online survey instructions provided with the Peanut Butter Cookies & Nuts Fudge sample. Questionnaire responses need to be submitted no later than March 22nd. PLEASE ANSWER QUESTION 1 BEFORE YOU TASTE THE FUDGE. * 1. Based on the flavor description, image and recipe of the Peanut Butter Cookies & Nuts Fudge flavor, how appealing do you think this flavor will be to your customers?